“White supremacist violence is on the rise globally. Right-wing extremists killed more people in the U.S. in 2018 than any year since 1995. Anti-Semitic violence accounted for 58% of religious hate crimes. 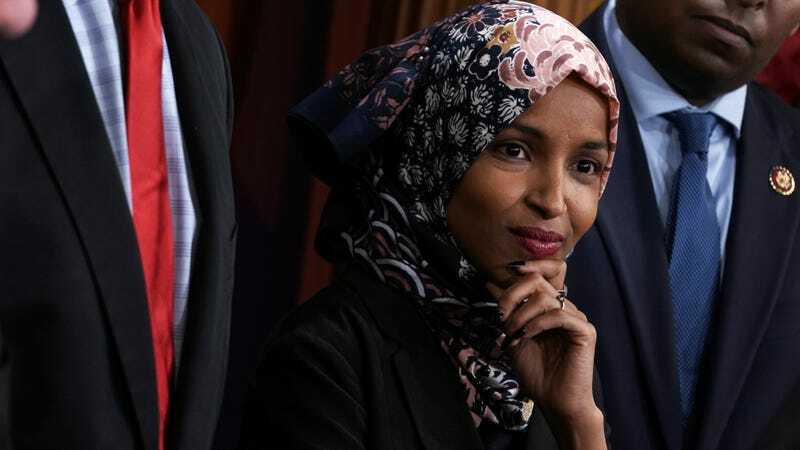 Yet the topic Netanyahu chose to focus on was…me,” Omar tweeted. “When someone says that being Jewish and supporting Israel means you’re not loyal to America, we must call it out,” Schumer told the conference. “We must stand for universal values of human rights—and the international institutions designed to uphold them—wherever they may be violated,” Omar tweeted.